Turning electronic devices ON / OFF remotely, wirelessly from iPone or iPad. You can implement this with: Belkin WeMo Home Automation Switch. 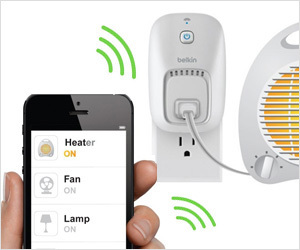 It is simple to setup: plug your electronic item to this Belkin device.